After a fantastic 10 day vacation (belated honeymoon with Kirk!) 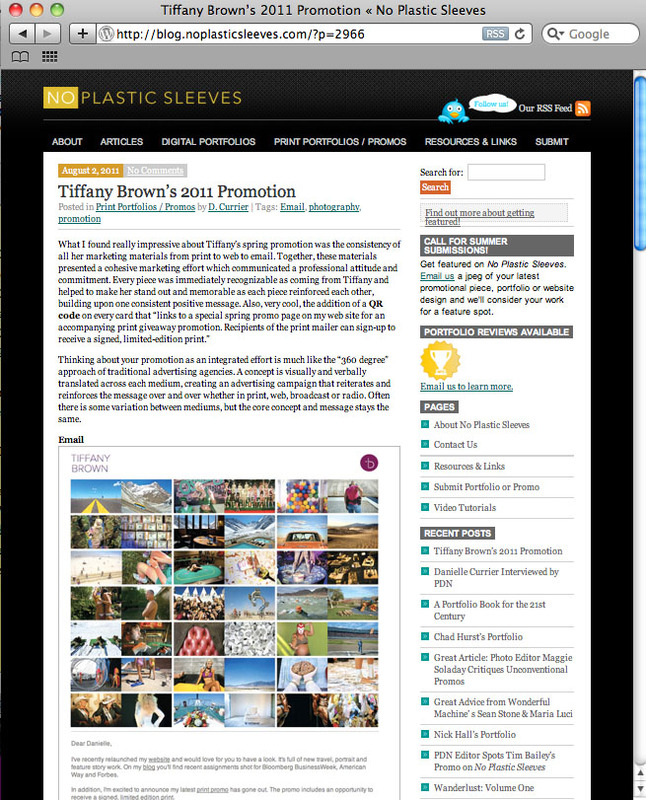 I returned to work this morning to an email from Danielle Currier of No Plastic Sleeves indicating she just posted a feature on my 2011 self-promotion campaign on the NPS website. I really appreciate Danielle’s comments. I did a great deal of research on marketing and self-promotion before beginning the creative design process for this current campaign, however, it’s really all an experiment to see how what we created sticks once it starts sending. Feedback like Danielle’s and response and work from new clients are the greatest pay-off.